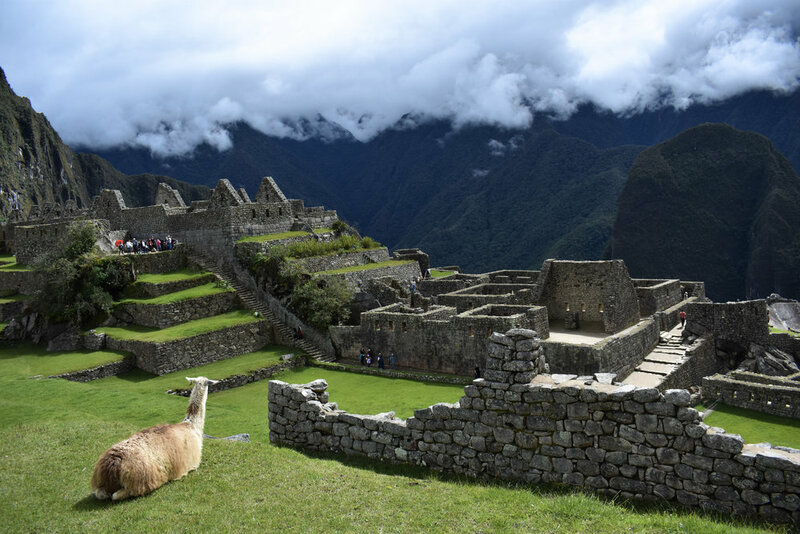 The Inca Trail is by far the most popular hike in South America, leading trekkers along the road system constructed by the Incas over 500 years ago and finishing at Machu Picchu. 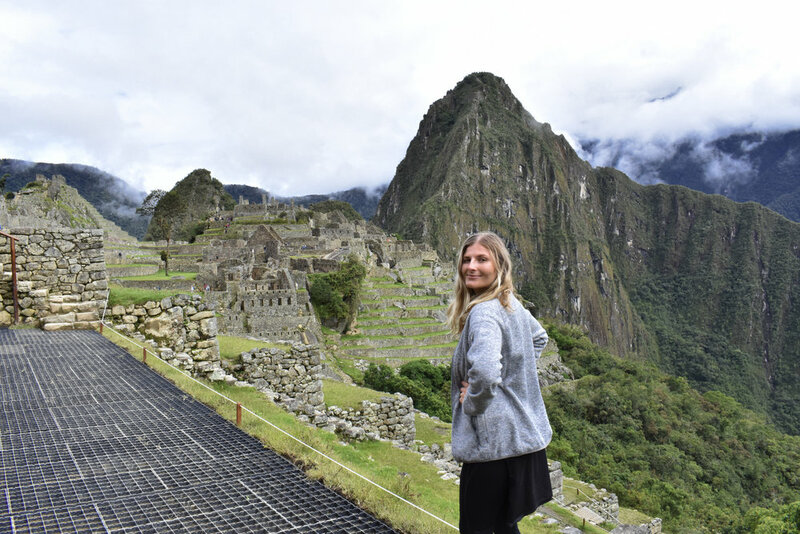 In 1911, Hiram Bingham, an American academic and explorer, made the existence of Machu Picchu public and effectively popularized the Inca Trail hike to get there. Following it's (inter)national debut, it's made it's way to the top of many-a bucket lists and with good reason; it's an experience you'll remember forever. The whole process can feel a bit daunting to plan, so here's a look at how to do it. 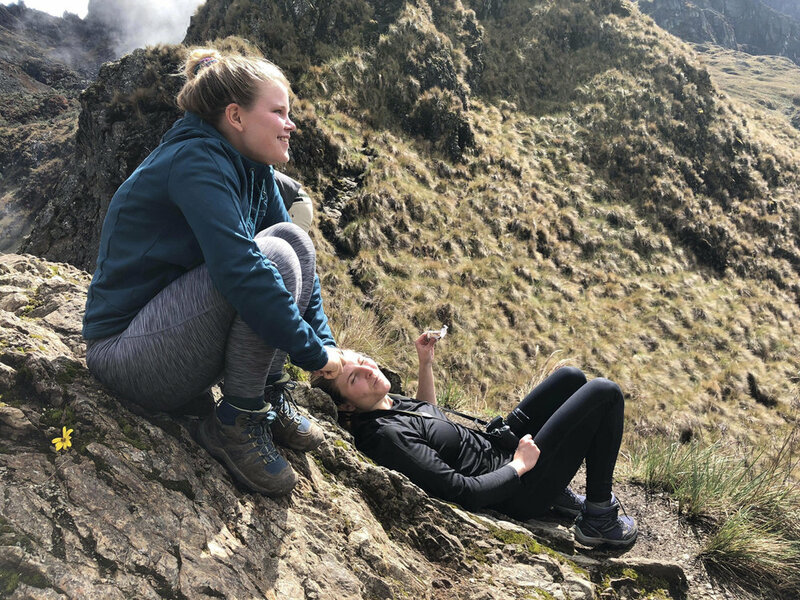 You’ll want to get acclimated a few days before you begin the hike, as the altitude only increases on the trail, so I’d recommend at least two days in Cusco. Here, you’ll take it easy, eating light meals and only doing light exercise in preparation. Trust me, you’ll be grateful for this slow period to balance your body before the (breathtaking) four-day hike. 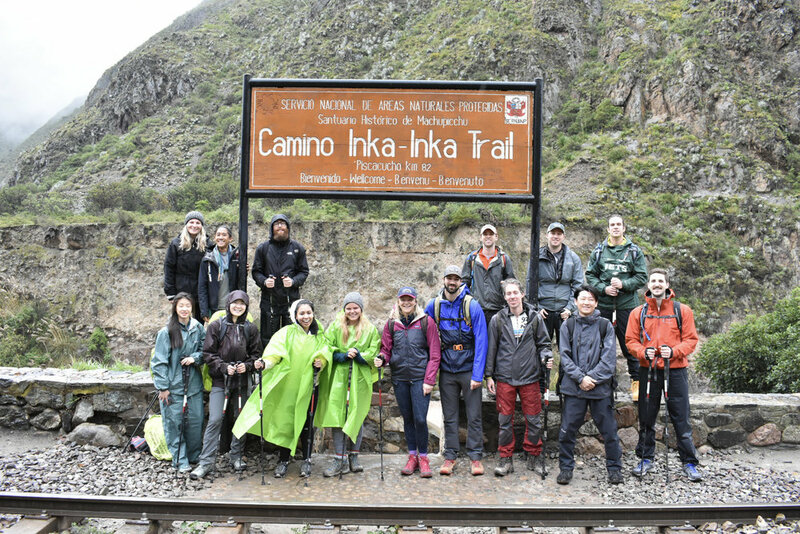 The hike begins at Kilometer 82, a trailhead that sits along the railway from Cusco, where the famous Peru Rail shuttles visitors by train from Cusco to Agua Clientes. The sign says it all — Camino Inka-Inka Trail, Bienvenido. The final day you’ll wake up many, many hours before dawn to be first in line. Just before day break, the checkpoint will open and hikers will begin their pursuit to Sun Gate just in time for sunrise, and finally descend upon Machu Picchu. You cannot hike the Inca Trail without being accompanied by a guide. The trail is highly regulated, hence why you need to book months in advance so that you can secure 1 of only 500 trail permits issued per day, which is typically equivalent to 200 hikers and 300 guides and porters. This is in order to preserve the trail from trash and decay, and make sure it withstands the test of time. To obtain a permit, your tour operator just needs your passport number, birthdate, age, gender and nationality. They typically require a deposit to do this as well, locking in your spot on the trail. 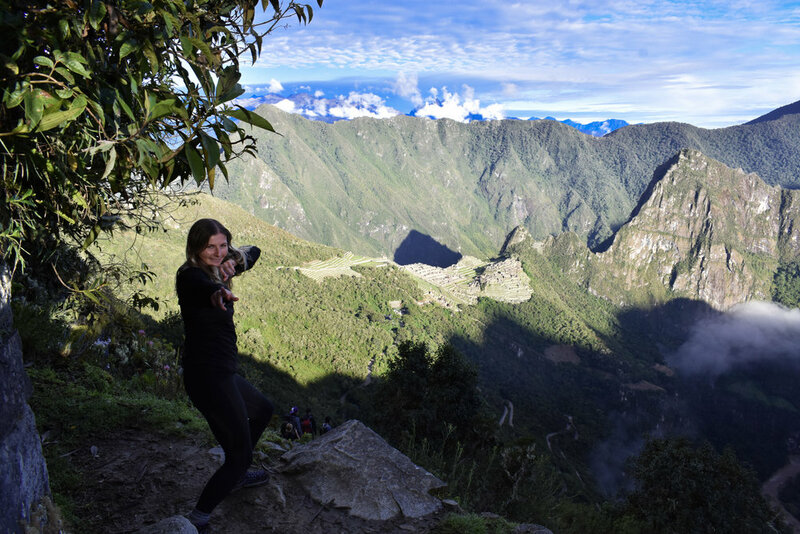 If all permits are sold out, you will not be permitted to hike the Inca Trail. There are some alternative hikes, like the Lares Inca Trail, that are far less crowded and therefore don’t require as many hoops. I’ve heard this also a rewarding experience in that you travel through local villages along the way. Make sure you do your research and find the right tour operator for you. Groups are limited to 16 people so you’ll always be in an intimate pack with at least two guides, but from there, offerings may differ including the type of equipment used, meals, etc. I hiked with Alpaca Expeditions and loved every flippin’ minute of it. The tents were awesome, personal porters were included in the price, the food was incredible (spoiler alert, there’s cake) and the guides were even better. I’m including their hike itinerary within this guide so you can get a feel. I will say it once, twice, three times — this hike is difficult. This hike is very difficult. It’s not that the terrain is particularly challenging or that you’re on the move — up and then down again — for several hours a day; it’s difficult because of the altitude. Now, I understand that many of you don’t live at sea level and for that, you should be grateful as it’s possible your body will adjust quickly. For those of us who do, though, do not panic if you feel like you need to take bigger breaths, walk slower or take a break. At one point you are ascending 13,866 feet / 4,226 meters where you can physically feel your energy and oxygen levels depleting as you rise foot by foot. Do not fear. This is all temporary and everything will be worth it along the way. Just take the time you need, go at your own personal pace, and drink in every view that’s as stunning as the last. If you are feeling ill, tell your guide right away. They are extremely well-trained in this arena and will help you feel better in no time, whether that’s hydrating salts, giving you oxygen or just relaxing with you to take a break. The dry season, where there is very little precipitation, is from May to October. That said, you should expect all four seasons at any given time on the trail as the weather really is unpredictable. So make like an onion and layer up. I hiked in March and while we did catch some rain, it was never too cold and there were definitely fewer tourists. We got lucky the fourth day and had perfect weather for Machu Picchu, but the day before was wet, wet, wet. The trail is closed in February for maintenance so that’s the only time you actually can’t hike. Yay, you’re in luck; I’ve dedicated an entire post to this. 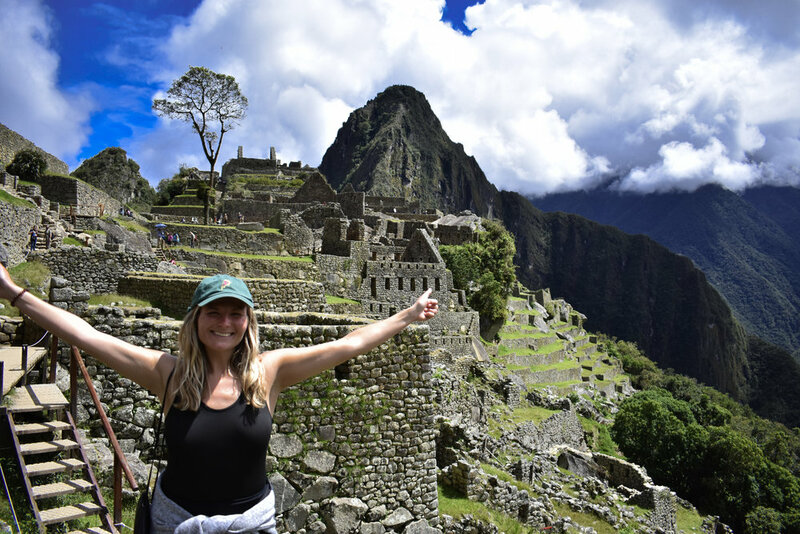 Here’s a simplified packing list, tips on what to put in your daypack and what to store in your duffle, and what to expect from your tour operator: What to Pack for the Inca Trail. This is directly from Alpaca Expeditions, the tour company I used to do the 3 day, 4 night Inca Trail hike. Warning, day 2 is by FAR the most challenging day, but also the most beautiful. Alpaca Expeditions will pick you up from where ever you are staying in Cusco at 4:30AM. At your briefing, these times will be confirmed as they might fluctuate based on where you staying. We will then drive to Km 82, arriving at about 7:00AM. 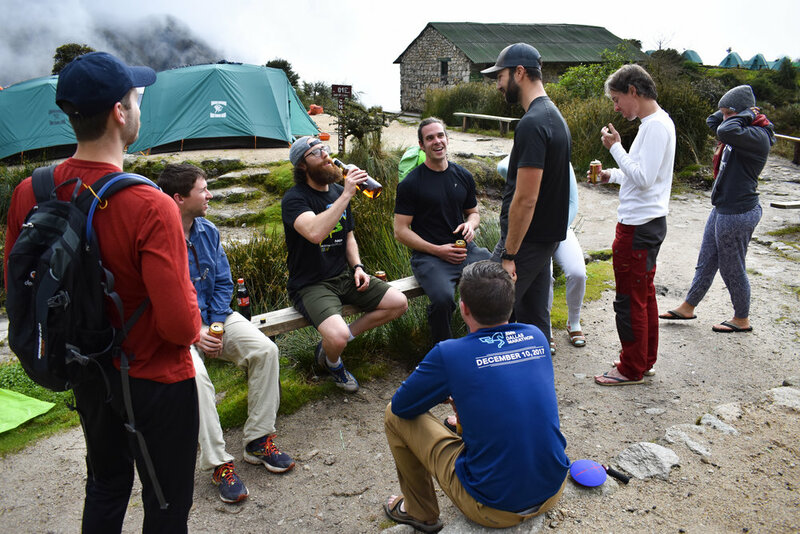 After a delicious breakfast prepared by your cook, we’ll go through the first Inca Trail checkpoint to begin our trek (please make sure you have your original passport with you to enter the Inca Trail). 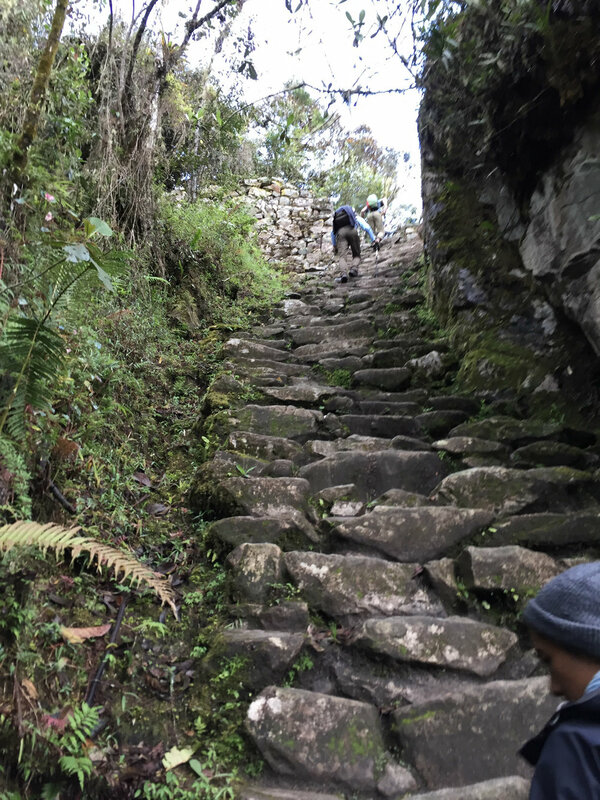 The first 2 hours of the trek are relatively easy as we make our way to our first Inca site, Patallacta which is an ancient Inca checkpoint for the approach to Machu Picchu. From Patallacta it’s another 2 hour hike to our lunch stop. After lunch we will hike for another 2½ hours until we reach the first night’s campsite at Ayapata (3300 meters). On this last stretch we pass through 2 small communities. If you want to buy any energy drinks or snacks you can do so here, you can also buy any essential items such as batteries that you may have forgotten. We’ll arrive to our campsite by 5:00PM and after settling in for a bit you can relax and have a hot drink and snack with your team of porters, chef and guide. By 7:30PM your dinner will be ready, and afterwards you can get some well-deserved rest. Wake up time is at 3:30AM. We’ll eat breakfast at 4:00AM and wait at the checkpoint to be one of the first to start trekking when they open the gates at 5:30AM. We’ll wave goodbye to our team of porters and chef and then it’s “Forward On” to the Sun Gate (Inti Punku). From here we have spectacular views of the mountains and Machu Picchu in all its glory. We reach the Sun Gate by 6:30am and then it’s just an hour trek downstairs to reach the Lost City of the Incas. As we approach Machu Picchu the views of the city just get better and better! At about 7:40AM we’ll reach the final checkpoint and enter Machu Picchu to begin our 2 hour private guided tour. 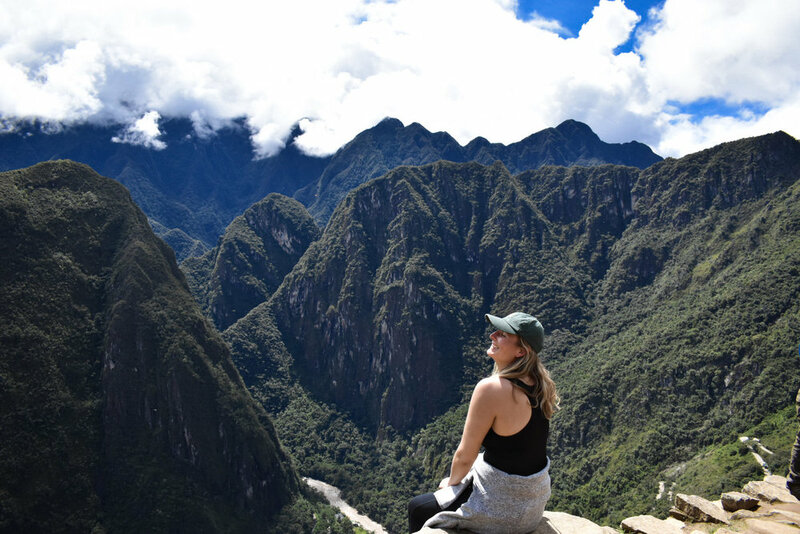 After the tour you’ll be given your bus tickets to make your way down to Aguas Calientes and you’ll have plenty of free time to explore on your own or climb one of the neighboring mountain Huaynapicchu (must be arranged ahead of time). Your guide will offer to meet you down in the village of Aguas Calientes to enjoy your last lunch in a local restaurant. This is optional and not included. At lunch, he will hand out train tickets, so if you choose to skip, please arrange to get these before leaving him at Machu Picchu. You will depart on the Expedition class train from Aguas Calientes to Ollantaytambo at 4:22 PM. Please make sure you are on the platform at least 30 minutes ahead of time. This train will be 2 hours to Ollantaytambo where an Alpaca driver will meet you and drive you back to the city in our bus (2 hour drive), then stop in Plaza San Francisco where you’ll retrieve your bags. They will then take you in a bus or van to your hotel.